A California federal judge, U.S. District Judge Cathy Ann Bencivengo, granted preliminary approval after changes to the $2 million settlement between Costco and the proposed class of truck drivers while holding on to lingering concerns about the class counsel’s representation. The class of truck drivers originally alleged they were denied proper meal breaks and overtime pay. The updated settlement agreement made adjustments to accommodate most of the issues that led to it being denied preliminary approval to the deal twice, but the judge still questioned whether or not the proposed class counsel was acting in the best interest of the drivers and whether or not the $2 million settlement amount/deal was a fair one. After the judge granted preliminary approval, she made it clear that doing so would not keep her from revisiting the questions she still had about the case during the hearing seeking final approval. Unpaid overtime is one of the most common concerns in the American workforce. If you have concerns about unpaid overtime or if you are misclassified as exempt, please get in touch with one of the experienced California employment law attorneys at Blumenthal Nordrehaug Bhowmik De Blouw LLP. A class action call center overtime lawsuit alleges that Wentworth Home Lending LLC failed to provide loan officers (and other workers in similar positions at the company) payment for all hour worked. The charge is being led by Plaintiff Patrick H., a man from Pennsylvania who filed the claim on behalf of himself and others in similar situations at the company. Patrick H. alleges that he and others at the company were consistently denied proper payment for hours they worked at Wentworth Home Lending LLC. Patrick H. worked as a loan officer assigned the Wayne Call Center location. He worked both on site at the call center and out of his home telecommuting. This was a typical setup for loan officers with Wentworth Home Lending LLC. Patrick worked in this capacity from December 2015 through March 2017. He also worked with at least 40 other loan officers over the last 3 years. As of 2015, Wentworth Home Lending classified Patrick and others in similar positions as non-exempt for overtime. They were eligible for benefits when they worked enough hours to qualify (in accordance with the Fair Labor Standards Act or FLSA). The overtime rule determined by the FLSA is that non-exempt employees are eligible for overtime pay and overtime rates of pay when they work more than 40 hours in one week. When this qualification is met, employers are required to pay their employees an overtime rate of 1.5x their hourly rate. They are also required to keep accurate wage statements that reflect hours worked. Allegedly, the company did not do this. They did not pay overtime as required to Patrick and others in similar work situations. 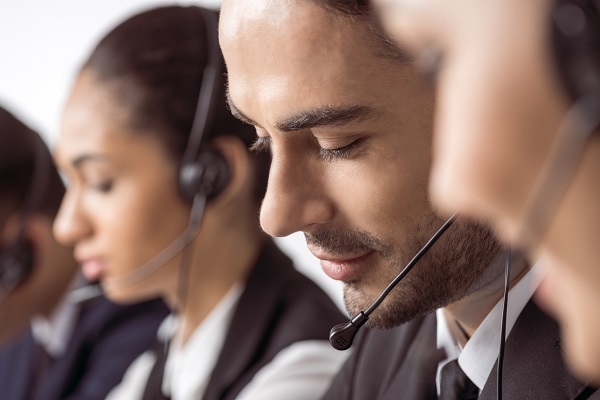 According to the call center overtime lawsuit, the plaintiff and other loan officers were hourly plus commissions for home loan product sales. Yet if a loan officer’s commission exceeded their hourly rate of pay for a period, they were compensated only the commission without their hourly rate of pay as a basis. This system of payment resulted in many loan officers being shorted their full compensation. The plaintiff alleged that he worked 65-70 hours in one week and did not receive compensation for the hours.